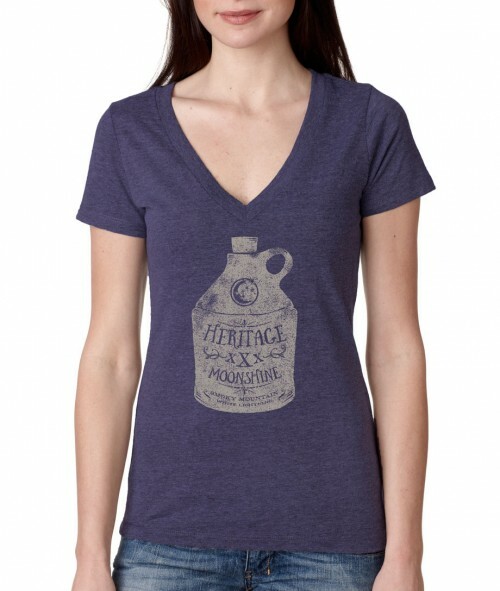 Heritage Moonshine T in a Ladies’ fit! This one is screenprinted (unlike many of our other Ts which are dye-sub). The shirts are Next Level, tri-blend–which is a lightweight, super-soft shirt. These shirts are tapered and run smaller than our Unisex sizes. Vintage Purple.